Launched in 2008, NordVPN is arguably one of the more popular, high-profile VPN service providers operating today. While payments for service are processed through CloudVPN—a company based in the United States—NordVPN is based in Panama (a country that doesn’t participate in the Five Eyes, Nine Eyes, or Fourteen Eyes communications interception/sharing agreements). Accordingly, users should be safe from untargeted government data trawling. NordVPN takes security seriously. The company’s Mac client defaults to IKEv2/IPsec security, and other industry standards are also supported. IKEv2/IPsec utilizes AES-256-GCM encryption—if it’s good enough for the military, it’s likely good enough for you. At the time of this review, NordVPN’s website claimed that the service had over 2,863 servers in 59 countries. Many of these servers aren’t owned by the service, but this is relatively common amongst VPN providers. If you’re interested in dealing with a VPN service that owns all of the server hardware it operates on, check out VyprVPN. This means that you’ll be able to spoof your location in a large number of countries, with less chance of experiencing drops in your speed due to too many individuals accessing the company’s servers at the same time. You can link up to six devices at a time to NordVPN’s servers. We found that the company’s Mac software client was easy to use. The company also offers apps for iOS, Android and Windows. During testing, connecting to NordVPN’s servers resulted in the following upload/download speed reductions versus connecting to the internet without a VPN. NordVPN offers three different pricing options. A one-year plan costs $5.75 per month, while a two-year plan is $3.29 per month. To get these monthly rates, you’ll have to pay for the entire term of service upfront ($69 for one year, $79 for two years). It’s possible to buy into the service one month at a time, but you’ll pay a punishing $12 per month for the privilege. That’s $143.40 per year. Ouch. No matter which plan you opt for, NordVPN offers a 30-day money-back guarantee. Payment can be made through a number of options including credit card, PayPal, or Bitcoin. Be aware that NordVPN’s payment processor, CloudVPN Inc., stores payment information—anyone interested in a maximum amount on online anonymity should pay for their service using Bitcoin. 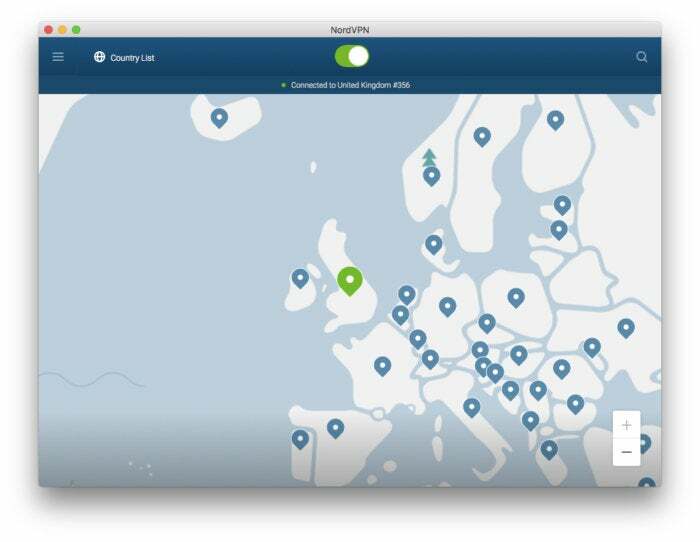 While not perfect, NordVPN is a compelling option for VPN service due to its mostly competitive pricing, massive number of available servers and server locations, easy-to-use interface, and slew of options to protect users’ online privacy. NordVPN is a compelling option for VPN service due to a well-rounded set of features and mostly competitive pricing.